Reintroducing the Friends of TARL! Every day, TARL works to protect and document archaeological sites, collections, and historic records. We provide important educational opportunities to students so they can build their future careers. We ensure that millions of artifacts are cared for, that new sites are documented correctly, and that new research can be done. Subscription to our new quarterly e-newsletter. Our goal is to have 100+ new members join during the month of October–Texas Archaeology Month. Join us today! Join the Friends of TARL today as a Regular Member (one-time gift of $50 or just $4.17 per month for 12 months) or a Pedernales Member (one-time gift of $100 or $8.33 per month for 12 Months). 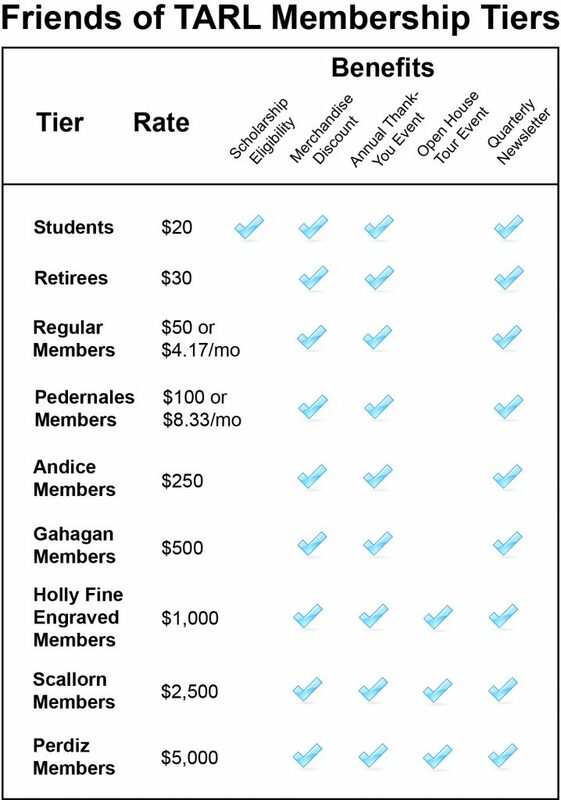 Special memberships are also available for current Students ($20) and Retirees ($30). Students who join will be eligible for Friends of TARL scholarships. 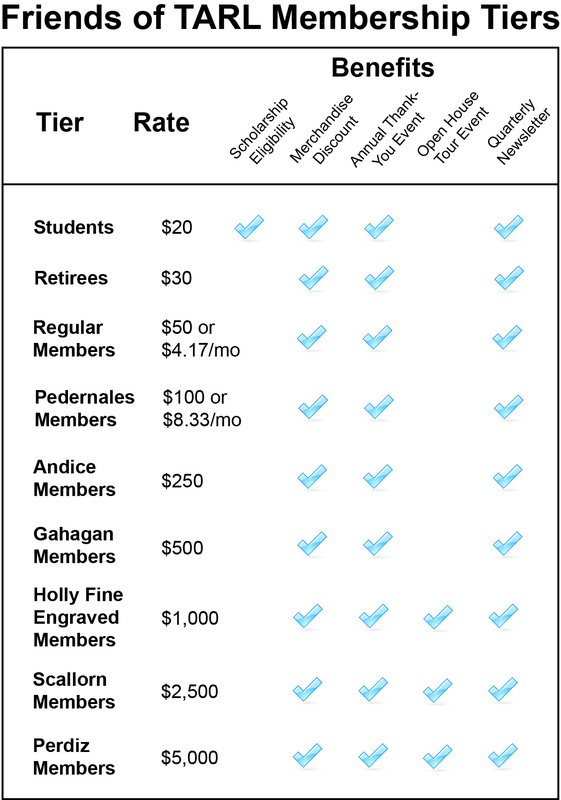 Higher tier memberships are also available; see membership tiers below. Follow the instructions below to sign up as a Student, Retiree, or a higher tier member. Follow the One-Time Payment link above. Enter your desired gift amount. The minimum to become a Regular Member is $50. Student memberships are $20 and Retiree memberships are $30. In the Special Instructions box, please specify if you are a Student or Retiree. If you are a current UT graduate or undergraduate student, please enter your EID. If you are a currently enrolled student at another university, please list your university. Click “Continue” to complete your payment information and submit your membership. Thank you for joining the Friends of TARL! Previous PostAnnouncing the Texas Archeology Month Fair!Next PostWhy protect archaeological sites? TARL Workshop: Methods in Dental Pathological Data Collection!